There's a party going on in my pantry, ya'll. 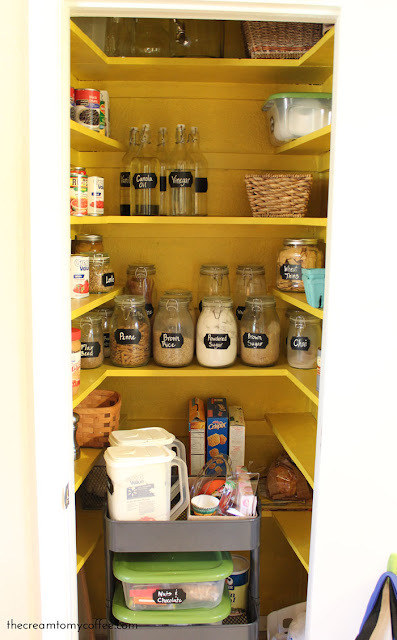 I have had a "pantry makeover" on my to-do list for pretty much forever and I finally got around to making it happen. And now, every time I open my pantry, it feels like I am attending a party. Want to see? (this is where you nod your head or fist pump or something like that). Awesome! I'll wait while you pin that :) Even though it looks terrible, I just have to say that I loved the pantry from the moment we moved into this house. 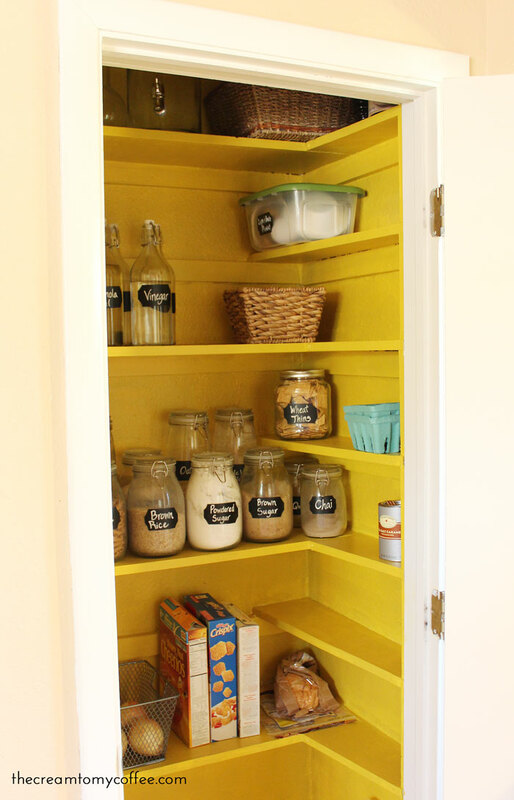 This home is the first place that I have ever lived that had a pantry so it was a really exciting thing for me (you know, because when you're 26 you get excited about things like pantries). I had made some attempts at organizing (the jars from IKEA, the plastic bins from the dollar store), but nothing really stuck. Placing all of the baking items on the rolling cart minimized clutter on the shelves and makes it much easier to access everything when I am baking (instead of walking back and forth from the counter to the pantry). You can read more about the baking cart here. The paint obviously had the biggest impact, but I think adding the chalkboard labels to the jars added a lot as well. All of the baskets and jars were purchased over a few years, so we technically only bought the paint for this project. However, I would guesstimate that the total for everything would be around $165. Not exactly chump-change, but when spent over the course of 3 years on things that will come with us whenever we move (besides the paint, obviously), it's not too bad. Make it pretty. 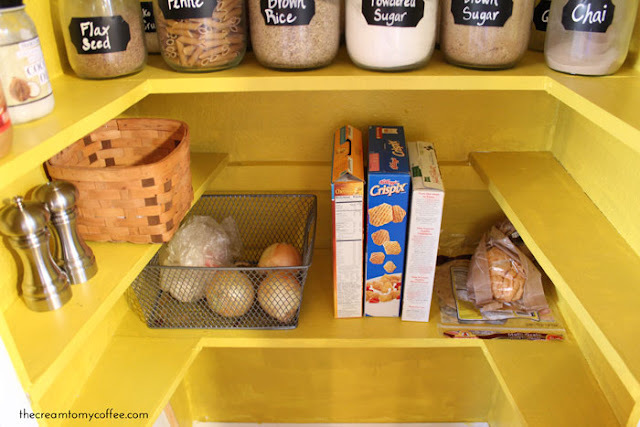 Obviously that was kind of the whole point of this makeover, but I have found that since making everything look good, we have been much more deliberate about putting things back in their place and keeping it organized. Before, we had kind of a "it looks bad anyway" mentality and we would just stick items anywhere. Containers, containers, containers. It is sooooo much easier to access food items when they are in containers. Grains, pastas, sugars, etc. look great in clear containers and it is easy to see when things need to be refilled. Also, grouping items like onions and potatoes in a basket looks nicer and again, easy to see when you need more. Finally, plastic containers with lids are great for those random items you keep in your pantry (plastic cups and plates, candles, etc.). Take EVERYTHING out. Don't even start organizing until you have it all out. This will force you to reevaluate everything you put inside. When I did this, a lot of things got thrown away and I found a new home for a few things (like the crock pot you see in the "before" picture). 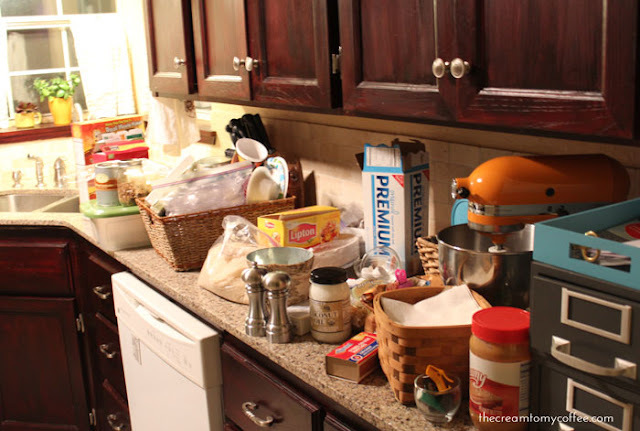 Organize AFTER a grocery shopping trip. This will give you an accurate idea of the items you need to store in your pantry. There is nothing more frustrating than spending hours organizing, only to come home after a grocery trip with too many cans of black beans to fit on the "can shelf." Leave extra space. I don't know about you, but occasionally I come home with something random from the grocery store (blueberry turnovers, anyone?). It's great to have a little extra shelf space for those items. So there you have it - the pantry. Thanks for attending the pantry party. 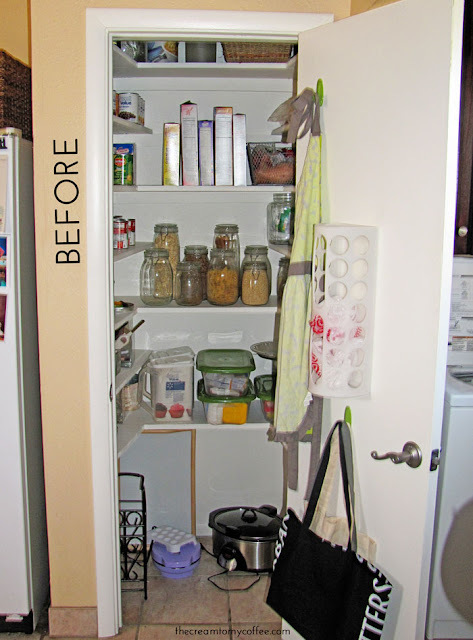 Wow- your pantry looks fabulous! 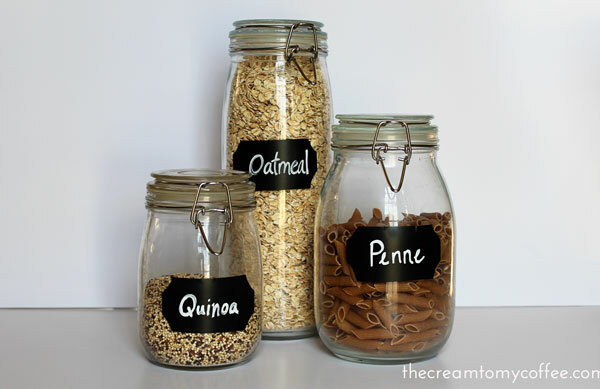 I love the jars/containers with the chalkboard labels! Really makes things easy to find...and super cute to boot! 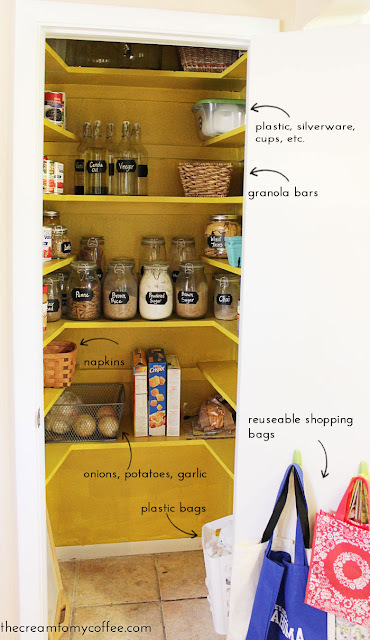 So you already had the containers/jars from Ikea? I need to get some!! 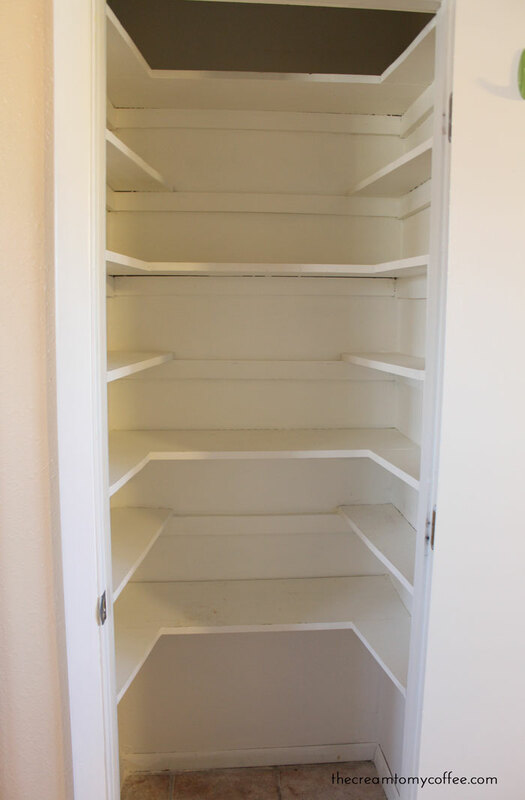 will you come organize my pantry? I sooo wish we had a pantry! Definitely not something I'd be excited about when I was a kid. Looks great-definitely an improvement! Enjoy your pantry party. This looks great! The color is so happy, too. Well done, I could use some of these tips for sure. Ours is pretty functional but definitely not pretty. I love that you painted it bright yellow. 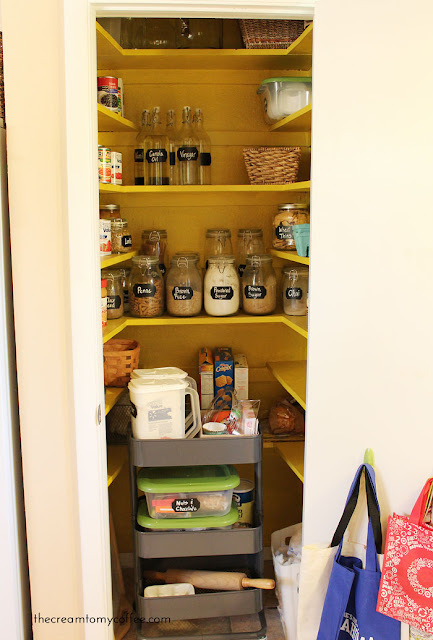 I've never lived in a house with a pantry either, and would be super excited about that pantry makeover too (though I'm 27, not 26, so you know, maybe I'm more at pantry-loving age, haha :) Enjoyed your post! Great makeover! I love the idea of painting the pantry, which I wouldn't think to do because it's basically the inside of a closet, but it made such a huge difference! I love the new labels and everything looks so organized! I wish we ever HAD a pantry haha! PS- first time visiting your blog today and I really admire the work and creativity you put into it! Your outfits are also super cute :) New follower!! OMG. I LOVE IT. Can you come to my new house (which I won't see/move into until August) and help me decorate and organize...pretty please? Seriously I can image that if this was my pantry (which I don't have one of), I'd stand in front of it opening and closing the door. And each time I opened I'd get an excited face again and again! Love it!